The bridge will ultimately consist of two parallel bridge structures, each approximately 41½ feet in width. One of the spans has been completed. 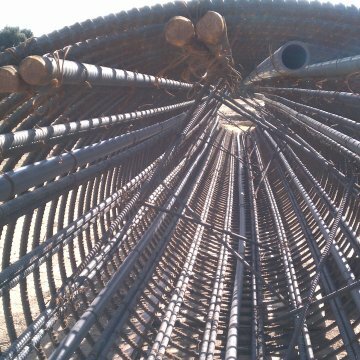 These are 3-span structures, with the center span being supported on 8½-foot-diameter, cast-in-drilled-hole (CIDH) piles at two locations located within the San Joaquin River. 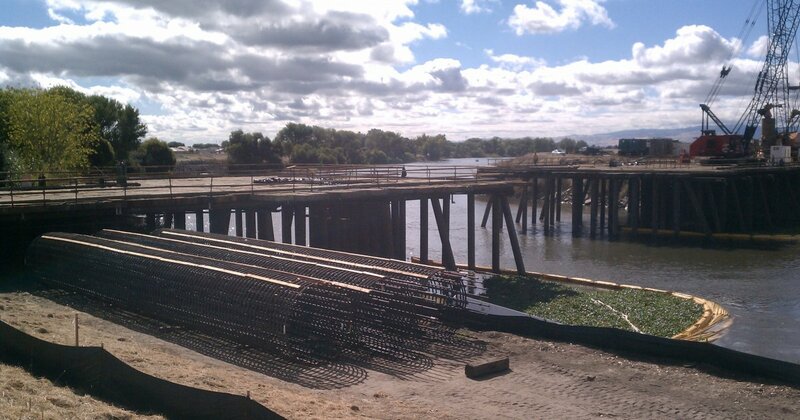 The abutments of the bridge are supported on either side of the river on 3-foot-diameter, CIDH piles. 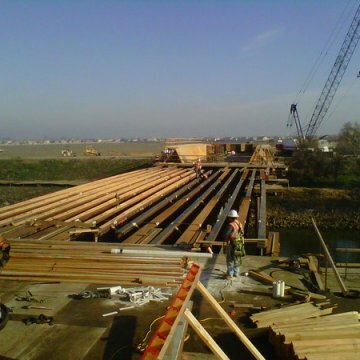 The bridge abutments are constructed on the existing levee embankments adjacent to the San Joaquin River. When completed and connected to adjacent River Islands Parkway, the new, two-lane bridge structure will allow access from existing neighborhoods east of the river into the River Islands project, and provide access for River Islands’ first phase of development. When expanded in the future to four lanes, Bradshaw’s Crossing will provide traffic capacity for the buildout of River Islands in conjunction with other future bridges. 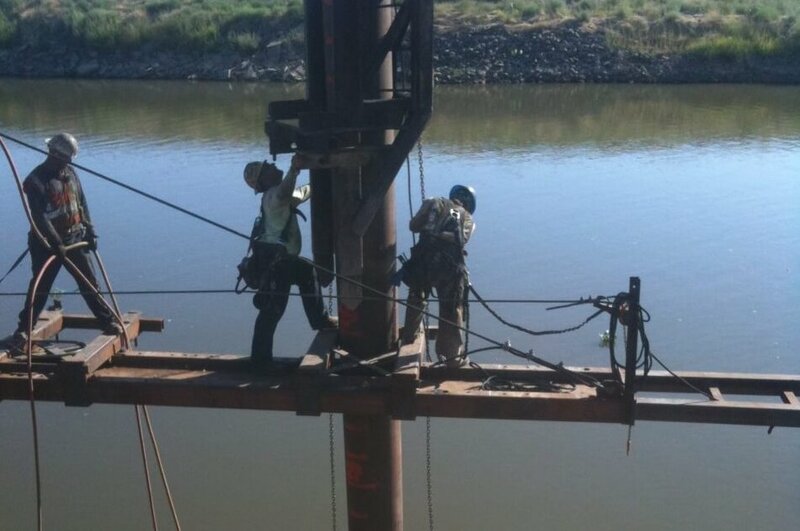 ENGEO performed a geotechnical investigation for the design of the bridge foundation. 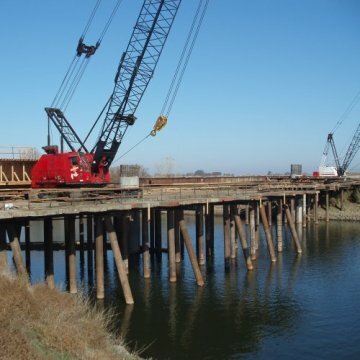 The investigation included four overwater test borings drilled via barge at the bridge pier locations in the San Joaquin River and four test borings drilled from existing levee embankments adjacent to the San Joaquin River at the locations of the bridge abutments. The study included development of idealized profiles of subsurface conditions, development of design earthquake ground motions, liquefaction evaluation, static and pseudo-static slope stability evaluation, lateral spreading evaluation, and foundation design analysis in accordance with Caltrans design criteria. 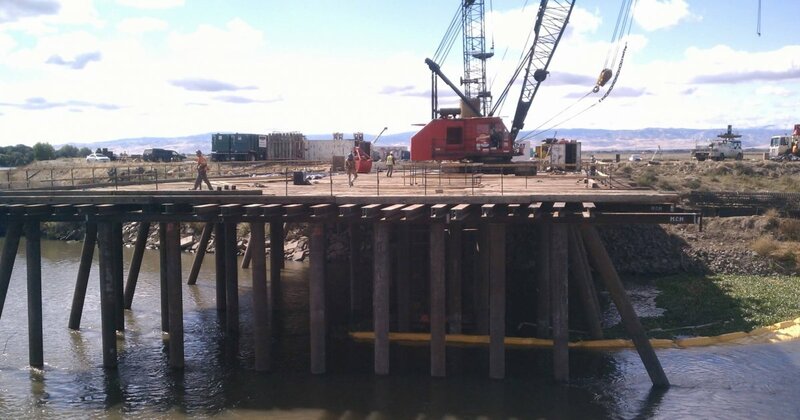 ENGEO performed a supplemental investigation at the location of the western bridge abutment, which included one test boring and one Cone Penetration Test. 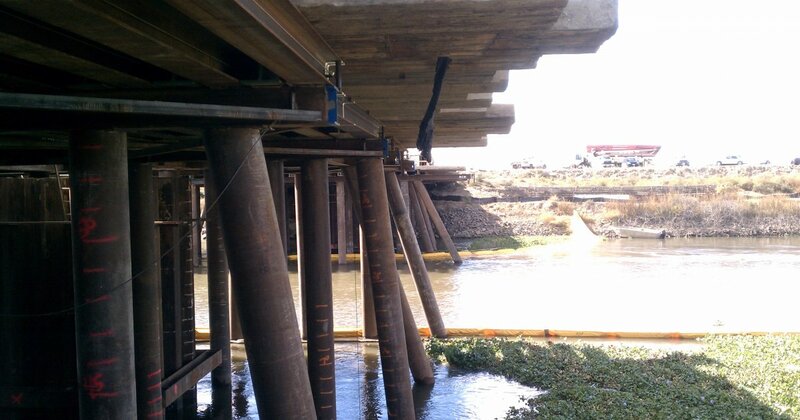 The supplemental study included further evaluation of liquefaction potential and the development of refined estimates of kinematic loading on the bridge abutment and foundation from lateral spreading. The client wanted to achieve the goal of uniting two sides of the city of Lathrop so that access would be easier for the community. The Conditions of Approval of the project required additional access the bridge provided prior to issuance of the 800th building permit due to emergency response needs. Several environmental, regulatory, and federal, state and local municipality permits were required for construction of the bridge. 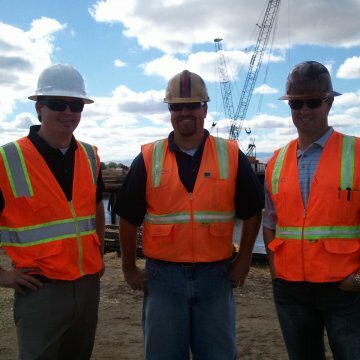 Significant coordination and effort was required to successfully meet the various permit requirements. In addition, construction efforts for the bridge, could not affect or deteriorate the stability or performance of the certified levee on which the bridge abutments were constructed. ENGEO provided construction management services and shared in oversight of meeting permit requirements through diligent coordination and communication. In addition, ENGEO installed and monitored various geotechnical monitoring instrumentation devises which were used for monitoring slope stability and settlement of the levees during construction of the structure. 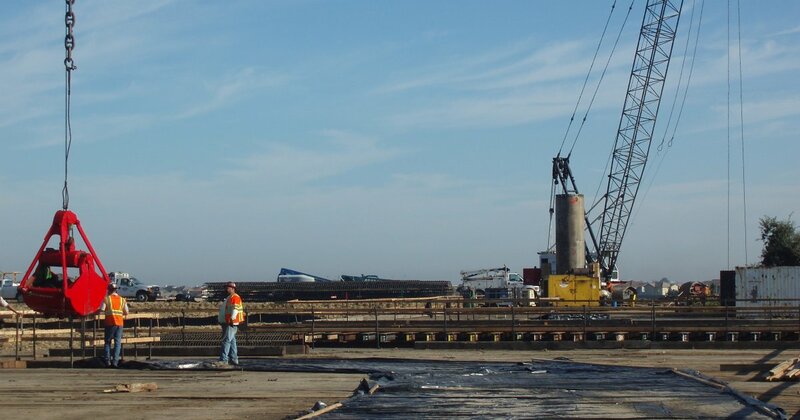 In addition, ENGEO oversaw CIDH pile testing with the use of gamma-gamma and cross-hole sonic logging technology to locate any deleterious concrete placed during foundation pile construction. 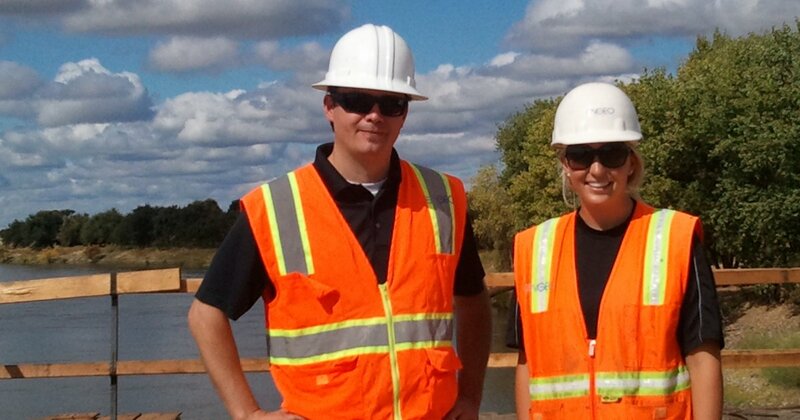 ENGEO’s vast knowledge of geotechnical requirements related to construction and performance of soils used in the certified levees allowed us to provide cost-effective levee monitoring during construction. 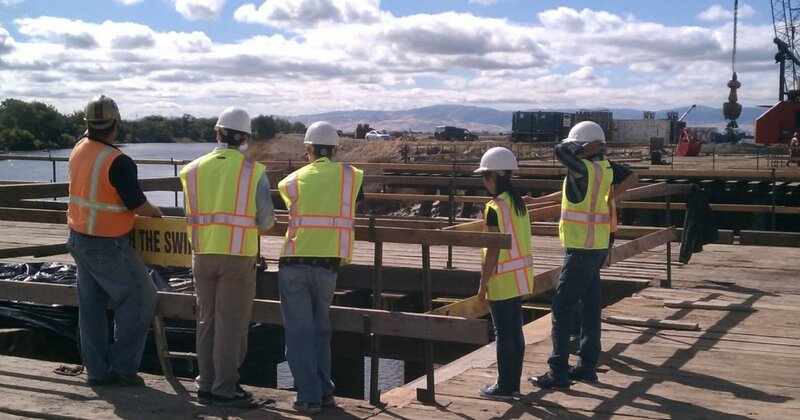 ENGEO’s team of engineers, geologists, and construction services field representatives provided valuable feedback on construction methods, tracking of deficiencies, and the ultimate resolution of noted deficiencies. The new bridge reduces by two miles the distance that emergency vehicles must travel when responding to the area. In addition, the contractor awarded the contract, proposed an alternative structure to which ENGEO was able to review our existing data, prepare a supplemental study, and assist with the redesign of the new structure, which resulted in significant time and cost savings to our client. 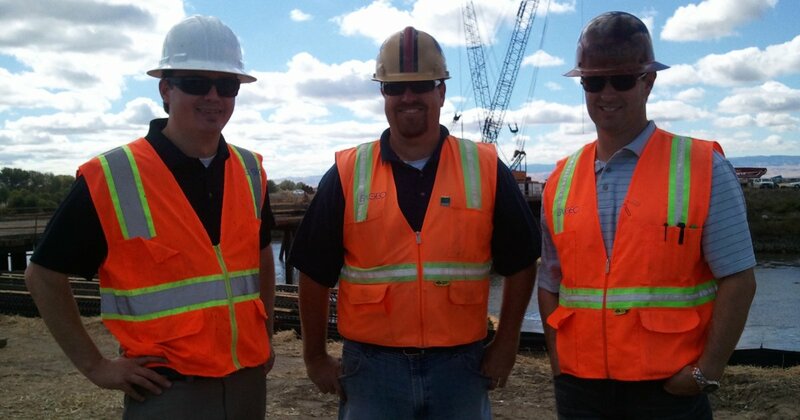 “We are pleased to provided feedback on the work that ENGEO has performed for us on the River Islands at Lathrop project. River Islands is a 5000 acre project that contains significant levee work and the construction of 200 level of flood protection. 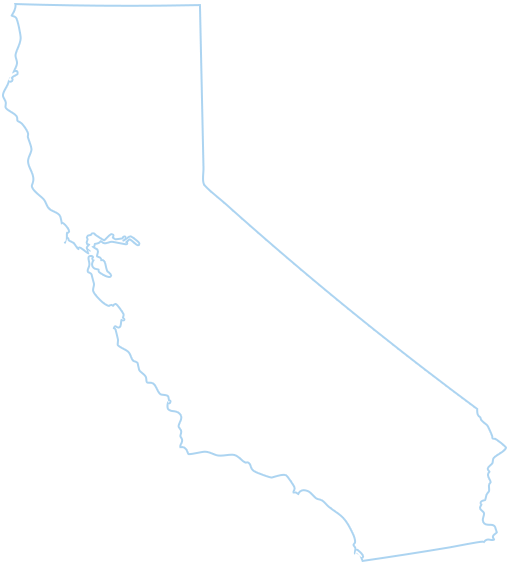 This requires detailed geotechnical analysis and close co ordination with the civil engineers.